LeVeL33’s executive chef Jimi Tegerdine is hosting a special collaboration with chef Drew Nocente from popular Australian restaurant Salted & Hung. The one-night-only dinner is on November 16 – the first session of the Chefs Exchange Series. Can’t make it for the event? Fret not – round two will take place on March 8. Enjoy the specially curated Four Hands 5-course, 10 dish degustation dinner menu (prices start from $98) that packs a punch with a unique mix of cooking techniques from the chefs. Savour chef Drew’s in-house cured and grilled dishes, and get drunk on chef Tegerdine’s beer-inspired creations. 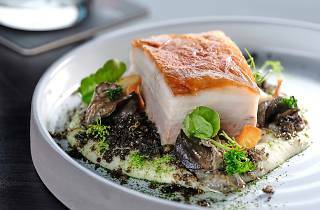 Signature dishes of the night include chef Drew’s mackerel with gin and nori ash, as well as chef Jimi’s 12-Hour pork belly with snails and celeriac. Looking for a tried-and-true classic? 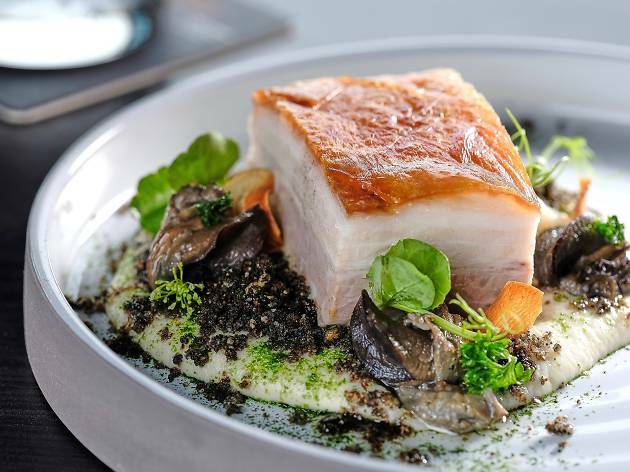 Level33’s rendition of pork belly, which has been on its menu from day one, never fails to satisfy your inner glutton.